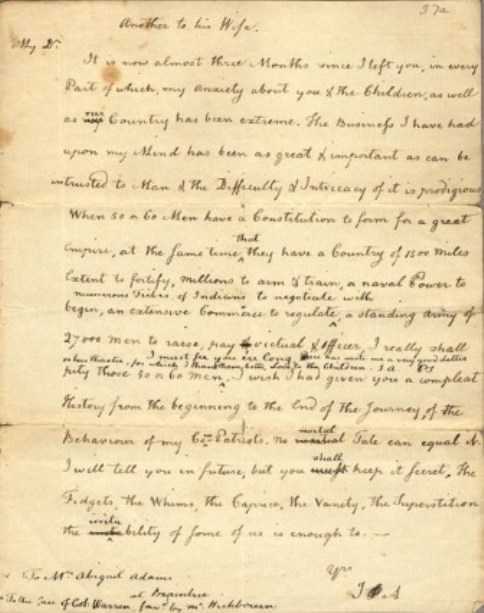 This John Adams letter, along with another he wrote to James Warren, was captured by the British in 1776. He wrote them shortly after the Congress had voted to send the Olive Branch Petition to Britain. This petition was a last effort of the Congress to avoid war. 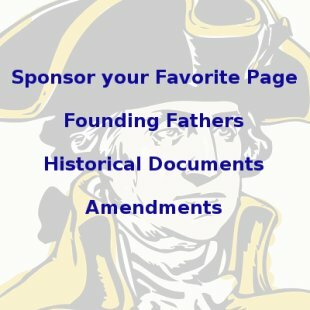 Moderate legislators that still did not want to declare independence from Britain persuaded the Congress to write this petition before considering a declaration of independence. 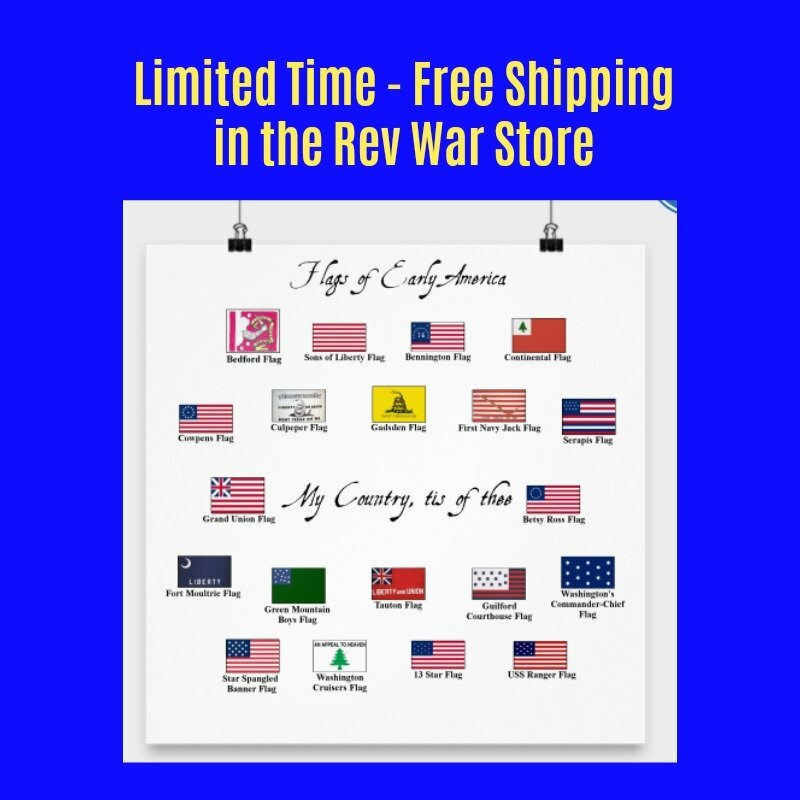 These captured letters, especially the one to James Warren, who was a leader of the Sons of Liberty in Massachusetts and President of the Massachusetts Provincial Assembly, revealed the American war preparations and damaged the impact the Olive Branch Petition could have had. It is now almost three Months since I left you, in every Part of which my Anxiety about you and the Children, as well as my our Country, has been extreme. The Business I have had upon my Mind has been as great and important as can be intrusted to [One] Man, and the Difficulty and Intricacy of it is prodigious. When 50 or 60 Men have a Constitution to form for a great Empire, at the same Time that they have a Country of fifteen hundred Miles extent to fortify, Millions to arm and train, a Naval Power to begin, an extensive Commerce to regulate, numerous Tribes of Indians to negotiate with, a standing Army of Twenty seven Thousand Men to raise, pay, of victual and officer, I really shall pity those 50 or 60 Men.I must see you e'er long. -----Rice, has wrote me a very good Letter, and so has Thaxter, for which I thank them both. Love to the Children. To Mrs. Abigail Adams, Braintrie, to the Care of Col. Warren, favor'd by Mr. Hichborne.